Is an injury or chronic pain keeping you from doing what you love? Every day, world-class athletes sustain game-stopping injuries. And every day – without exception – they seek help from experts they trust. Experts with experience helping athletes keep playing. Experts who stay up-to-date with the latest developments in physiotherapy. We help world-class athletes keep playing. And you can get the same treatment – with a level of attention and care you need to recover as quickly as possible. Because we help the biggest athletes in the business, we’re expected to use the latest treatments in sports medicine. And you can too. Sometimes surgery is unavoidable. But often, there are other options. Get treatments like PRP and stem cell injections to recover without going under the knife. Because we staff 35 specialists in sports medicine, physiotherapy, chiropractic and more – you won’t need to drive from clinic-to-clinic for all of your injury treatment. We offer custom physiotherapy routines to help you improve your form, break through your plateaus, and prevent future injuries. Our specialists will test your readiness to return to physical activity, so you don’t have to spend any time on unnecessary rest. Osteoarthritis of the knee: You may think that this condition only impacts older athletes, but that’s not necessarily true. Osteoarthritis can strike at any age. Our expert team will determine the most appropriate treatment for you. Running injury clinic: We know how frustrating it can be when you’re prevented from your favorite daily exercise due to an injury. We’ll analyze factors like your gait and running shoes for a personalized and reliable recovery plan. Golf Injury: Nagging injuries and pain are part of being an avid golfer. Our golf injury prevention program is designed for golfers at all levels — we’ll also customize the program to suit individual skill levels, needs, and goals. Our clinic helps address issues related to swing, grip, and stance; flexibility and core strength; and any underlying injuries. And many more: Browse through our full list of programs. All the services you need to keep playing – in one convenient location. We staff 35 experts across every major sports medicine discipline, so you can feel comfortable knowing you’re getting the right treatment from the right specialist. athlete you want to be. Our physiotherapy professionals can help you recover from your injury, enhance your movement, improve your form, and avoid repeating the same injuries. From manual therapy and remedial exercises, to prescription braces and sport specific conditioning, our expert team has you covered. 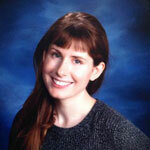 Aislinn holds a master’s degree in occupational therapy from McGill and a masters in physiotherapy from McMaster. She is registered with the College of Physiotherapists of Ontario and has advanced training in soft tissue release, acupuncture, and dry needling. 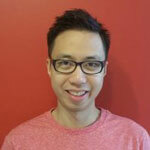 Derek has a master’s of health and rehabilitation science from Western University. 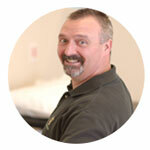 His treatment focuses are on patient-centered care and using soft tissue techniques to help his clients. 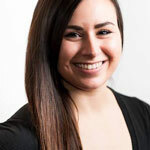 Stephanie is a current doctoral student at the University of Toronto where she’s researching pelvic floor physiotherapy. Her passion for physiotherapy stems from a desire to help athletes return to their sport. Paul has over 20 years’ experience helping patients recover from orthopaedic and sports injury conditions. He’s received specalized training from Emory University in Vestibular Rehabilitation Therapy which treats vertigo and balance disorders. 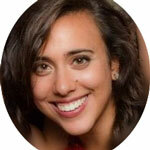 Cristina holds a master’s in physiotherapy from McGill and specalizes in fitness assessments and exercise counseling. She has a particular interest in treating patients from performing arts backgrounds. Agnes is a registered physiotherapist and an adjunct lecturer at the University of Toronto. 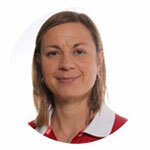 She works with national sports organizations such as Skate Canada, Wheelchair Basketball Canada, and Gymnastics Canada. Michelle holds a master of science in physical therapy from Queen’s University, following an honors specialization in kinesiology from Western University. 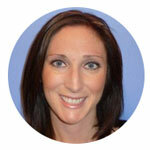 She enjoys working with patients of all ages and athletic backgrounds. 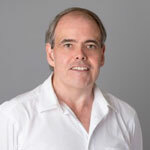 Phil has over 25 years’ clinical experience and has a primary focus on orthopaedic and soft tissue injuries. He has worked with elite athletes in powerlifting, rugby, and martial arts.